This Spice Girls song may have been released in 1996, but apparently, truer words have never been spoken. By now, you probably already know how much your girl friends mean to you. They were there before you even thought of boys, and if they're your ride or die, they'll be there 'til the end. And apparently, women know this deep down even after they've found The One. 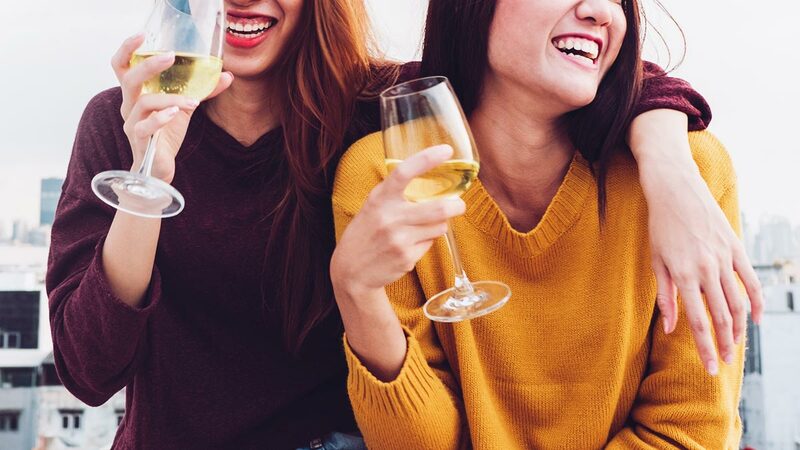 In a study conducted by Champney's Health, 1,517 women were polled, and 44 percent of them confessed that there were just some things they felt more comfortable sharing with their friends. Women gave reasons like, "we can talk about everything," and "she listens more." It's important to note two things, though: 1) This study only surveyed heterosexual women and 2) women who've already been married. Women who have yet to walk down the aisle might have different opinions. This finding isn't exactly new, either. There have been plenty of researchers who've proven just how essential close friendships are—they can even improve romantic relationships!